Not all of us may have naturally beautiful handwriting, but there’s no excuse these days with the formatting of our digital work. Even the most basic online applications have standard formatting options by default. However, I have noticed that many web themes have minimal font sizes as the default, such as 10 or 12 pixels. Some make it easy to adjust these, but others require a little custom CSS to achieve those results. For your readers who do not have the ability to adjust fonts via the theme or CSS, I would like to advise that Google Fonts plugins are available to help with this. Several formatting options are instantly available to achieve the desired results, including making the website legible. Hopefully, this may help some readers before they complain that nothing can be done. It’s true Nathan. Most themes and site templates have a default type size, and it’s often very small. That being said, I don’t think plug-ins are always the right solution when you need a fix. I’d say first that when you look for a theme, you need to look for one that allows some easy modifications to the CSS. Any themes we purchase for design and implementation, when we’re not going the custom route, must make CSS editing feasible. Secondly, if you want to go the DIY route, I think it’s your duty to learn a few simple CSS tricks to make your user experience better. 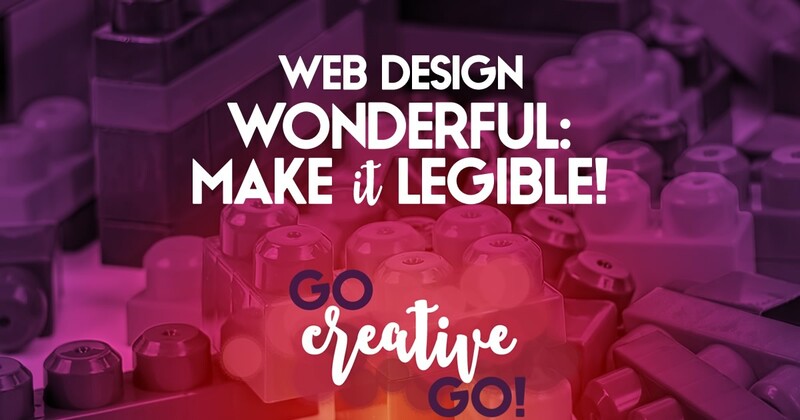 If you just can’t, then you need to have a web design/dev pro on hand to handle these small fixes for you. Yes, I agree that custom CSS is best for proper control. Most, if not all of the themes that I’ve used allow som custom CSS modification. I have also noticed a growing trend for themes that include Google fonts within the customisation. Give Your Content Marketing Some Bass! There Are No Marketing Gods!